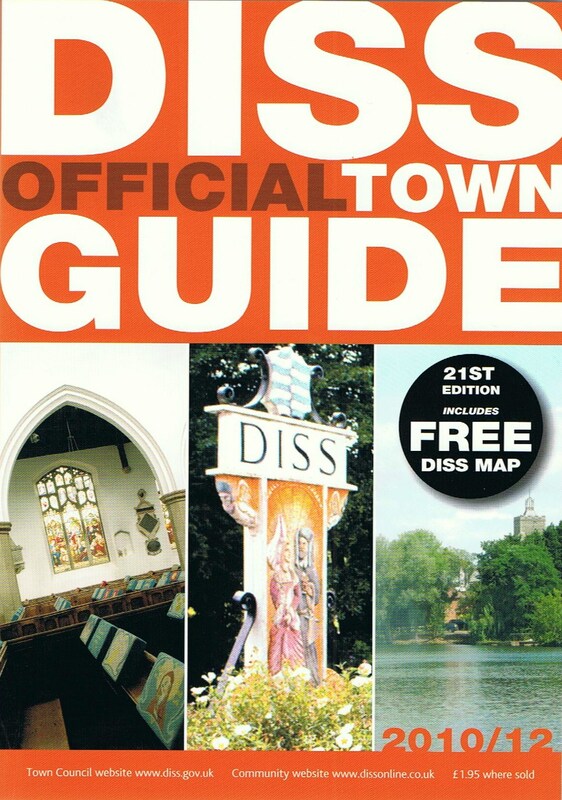 The latest Diss Town Guide will soon be arriving free to every household in the town. The 21st edition covers all aspects of Diss life and is packed with information, including postal codes, a business directory and free map. There are articles about local girl Ethel Le Neve, who was involved in the Crippen murder 100 years ago, and Himalayan traveller Thomas Manning, with the bi-centenary of his journey coming up next year. The Guide, which has been edited by Basil Abbott since the 1980s, will be on sale at £1.95 in the Tourist Information Centre and other outlets. I am the current chair of Diss Decorative and Fine Arts Society. I would be grateful if you would reassure me that we have retained our entry in the new edition of the Town Guide. I am concerned that I have not been asked, as part of its revision and updating, whether this organisation would wish to remain , it would, and if it should bring its entry up-to-date. We have had an entry from your society, although I can’t recall from whom.